High end speaker cables, gold plated banana connectors. Spade connectors are available upon request at no extra charge. 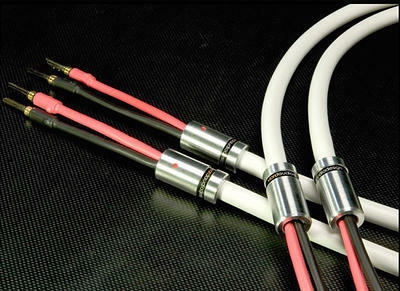 The Silver HD 12 cable features the same components as the HD 20 including pure copper braided conductors, but with a reduced outer gauge of 12mm. The white silicone outer jacket, similar to the HD 20 offers enough flexibility for intensive use and to resist UVs as well as chemical agents. VIARD AUDIO DESIGN reserves the right to change specifications or fabrication techniques without notice.